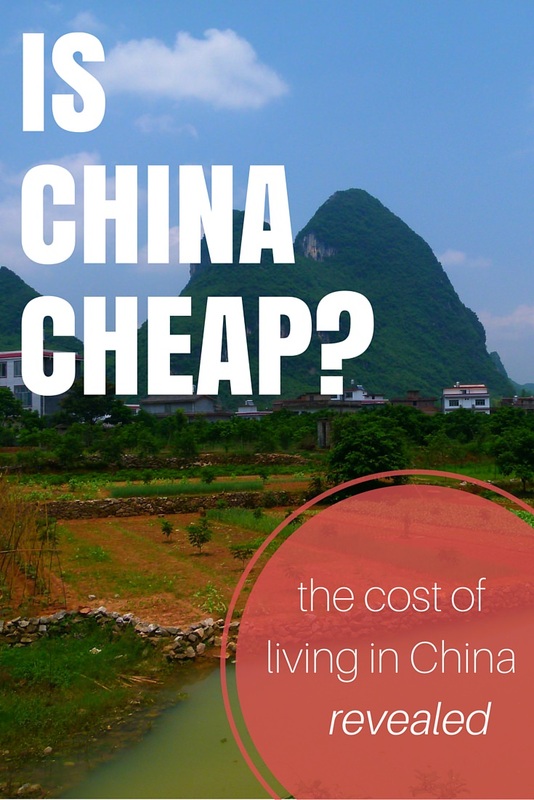 We’ve had lots of emails and comments sent to us about the cost of living in China. With practically everything being made in China due to the cheap cost of labour and materials, most people envision China as being a very affordable place to live. If you’re one of those people, you would be correct…mostly. Note: The cost of living in China is very low and by finding teaching jobs in China, you can save a lot of money. But there are plenty of jobs out there that will allow you to work from anywhere! 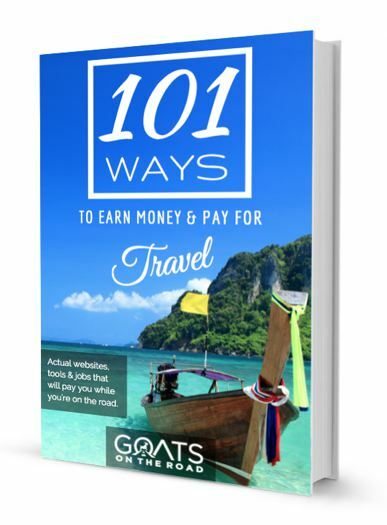 Check out our epic list of 101 Travel Jobs to find out detailed information about 101 amazing jobs. Find out how much each job pays, where to find work (ie: online registries, job boards and websites) as well as what the work entails! We live in Yangzhou, China, a not-so modern city of about 5 million people with little draw for foreign tourists and not many expats. So, the cost of living here is much less compared to the more commercialized, metropolitan cities of Beijing and Shanghai. For the major cities, take these numbers and add 50% or more. 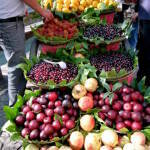 Check out this website for the cost of living in Shanghai and other parts of China. There you have it. The cost of living in China in a nutshell. Surprisingly, the cost of buying new clothing isn’t as cheap as you would assume. A new jacket or a pair of nice boots are about $100 and the cost of name brands such as Nike or Levis are the same price as they would be in a western country. Imported foods and goods are also quite expensive. Do as the locals do and shop online, that’s where the best deals on clothing, books, some foods and other random items can be found. Check out www.taobao.com or www.alibaba.com for deals. ***Note: We have a combined income of $3,000/month. We take day trips to nearby cities, frequently eat at restaurants, drink lots of wine & beer and buy imported western foods. We are able to save half of our earnings each month. China is definitely affordable! For more information on how we were able to save $21,000 in a year while teaching English, click here. Hopefully this helped answer some of your questions about the cost of living in China. If we missed something, let us know. So $1000 a month would make for a comfortable living style where you guys are living. I was just wondering how much you earn teaching English as a second language? Are you guys just making it over that amount or are you able to save a decent amount to continue traveling? I ask because traveling the world while teaching English to sustain myself is something I’m interested in doing, I just don’t know anyone who has or is doing it. Thanks for the comment. We earn around $1500 / month and that’s a very average wage here, some jobs pay half that and some pay double, depending on your credentials. $1500 / month is PLENTY to live off of and save here in Yangzhou but may be more difficult in major cities like Beijing and Shanghai. We live together in a nice modern apartment and go out for dinners and trips quite frequently and are still able to save HALF of our money! China is cheap and the wage is good. Contracts usually last for a year here, so you have to stay still for a bit, but it’s fun to take little trips around your province here in China. Well… Now you know someone who’s teaching English and sustaining travel! You can do it too! Would that be 1500 per month per person, or the two of your together? I too am an English teacher and wondering about going to China to teach. But for just 750 bucks (if it’s divided by the two of you), it might not be a good deal for me as I’m alone without a partner. Our combined income here is just under $3000, it’s a pretty typical wage here in China, but you can make more if you looked around. Hope this helps, good luck! Awesome, awesome stuff here and extremely accurate. China is cheap in some regards but expensive in others. Thanks for this. Great! Glad you agree. Food and beer are definitely available on the cheap! Hi, There is a school that is willing to pay me 5500 RMB per month, they give me everything else, a nice room, food, internet etc…..do you think its a nice deal, Thanks in advance. and let me tell you your blog is awesome. 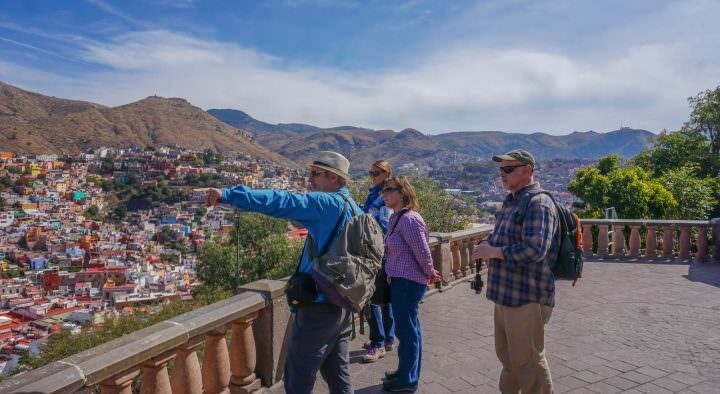 5,500 isn’t all that bad – it really depends on which city you are in? Are you living at the school? Eating at the cafeteria or something like that? To give you an idea – we were paid 8,000 each, plus our housing, insurance, once a week Chinese lesson, flights to and from home, student retention bonus each month and contract bonus at the end. I hope this helps somewhat! Let us know if you have anymore questions. Thank you for your fast answer, its really good to have an objective opinion from someone who has been there before, I have a question for you, did you just landed in China and start Looking for a teaching work?? or you find it online and wait for the invitation letter and all the stuff?? ?also what small town in the middle of nowhere can you recomend me to start my Journey?? Thanks and best regards. Yes, when we were travelling around China is when we started sending out our resumes via email to different schools that we found on ESL Dave. We found one, decided to take the job, went back to Canada to get our things and flew into Hong Kong, where we received the Invitation Letter and everything we needed for the working visa. Things have changed recently in China when it comes to getting a tourist visa, so definitely check out the status of working visas as well and see if you can get it overseas (ie: Hong Kong), or if you need to obtain it in your home country. Hmm, as for small towns, there are many! First we would suggest maybe getting a Lonely Plant guidebook and checking out each of the different Provinces. See which one appeals to you…check the sights and weather and food, etc. and then go from there. Where we lived in Jiangsu Province, Suzhou, Wuxi, Hangzhou and Nanjing were all cities nearby our home of Yangzhou and they were all great. It really depends on what you’re looking for! I am looking at a position at a university in Jinhua. Their salary is 5000/month, and they provide health insurance as well as an apartment. Is this a good offer? It seems lower than what you recommend, but there are some services provided, so I am not sure. Hmm, it’s hard to say. If you’re working at the university, you should be offered more than we were offered for working in a private school. I imagine your hours are more than 20/week? We were provided with health insurance, apartment, chinese lessons, flight reimbursement to and from Canada, end of contract bonus and were paid 8,000/month, each. I got an offer from China.It is 176 Hour per month(pay rate is 35$ per hour).Also they are going to provide me a good Apartment and they will cover my health insurance.Do you think is it good deal….. I think that the amount of money you are earning per hour is great! However, working 176 hours a month is a lot. You’ll be working 44 hours a week. So, you’ll have to think about whether or not you’ll want to work that many hours. Also, are those in classroom hours, or total hours? You’ll have to take into consideration time for lesson planning, commuting to and from the school, marking tests and writing student reviews. It’s great that they are providing you with an apartment and health insurance, that’s pretty typical for China. How is the quality of health care in China? Thank you. That really depends on where you are living. In the smaller/less westernized cities, the healthcare is so-so. In bigger cities like Shanghai, Beijing, Guangzhou, etc. The healthcare would be much, much better. In Yangzhou, a friend smashed his knee cap while riding his motorbike. In the hospital he had major surgery and woke up delusional from the pain – he was only on Tylenol 3 painkillers! Not morphine or anything. It was an awful situation. The way he was treated by the staff was totally unacceptable by western standards. They told him he’d never walk properly again, let alone run or anything. He went back to England for proper healthcare and is doing just fine now! So, if you need just a little check up, then it’s ok to go to the doctor. If you need something major, go to Shanghai (or similar) or home! Hi Goats: I was wondering how you found getting around in China. I’m referring to your daily commute. There’s no subway, I don’t think, in the small city you settled in, is there? I certainly don’t expect to own a car in China, and I’m wondering if I should narrow my target Chinese destinations to cities with subway systems. That would still live plenty of options, as a number of Chinese cities do maintain subway systems, but certainly not all do. Any thoughts? In Yangzhou, there wasn’t a subway system. We got around primarily by bicycle (we bought one each), taxi (very cheap) or public bus (cheap, but we rarely used it). Lots of people in China ride bicycles around or they have motorbikes or e-bikes (electric motorbikes!) Knowing how you’ll get around is important for sure, but I wouldn’t rule out a city just because there isn’t any major subway systems. Ok. Thanks. I’ll definitely bear that in mind. Great. Let us know if you have any more questions. My cousin approaching to China with his family members for a job of teacher in Embassy school. the school will give him 2200 us dollar per month, accommodation, medical facility and return ticket. the school locates in Beijing….. the above mentioned monthly salary is enough for him and for his family????????????? That depends on how many people are in his family? We were able to live off of $1,500 dollars / month for 2 people living in Yangzhou. I know the cost of living is higher in Beijing though. I think $2,200 would be plenty for a couple to live off of, maybe even with a child. He’ll have to speak to someone living in Beijing to get an idea of what utility bills cost there, transportation, etc. Food in China is cheap though and from what I’ve seen, so is transportation. If his employer didnt afford the apartment, $2200 will be barely enough for 1 person to have a comfortable living in beijing without saving a dollar. No still not enough for living comfortable, just for living. Dear Nick and Dariece, Thank you so much for being willing to answer questions. I may have an opportunity to work in ZHENGZHOU at the High School. The starting salary is $35,000 with Health insurance, housing, daily meals, cultural excursions, Chinese language lessons, and round trip airfare.. Would that be enough for a single person to live on? Would I be able to save? I am at a point where I am thinking about retiring and would like to be able to save for that. i have gotten an admission to study at csu changsha, can you help me to get a teaching job when l arrive in September? or how can l get a teaching job when I arrive in September? can a high school graduate get English teaching job in china.? thanks in advance but really,you guys are incredible! It is possible, definitely not as easy…but possible. You could try! Hi, my name is Abraham. I just recently got an offer to go work in Jinhua, I will be taking my wife and my daughter with me. My questions will be, how much is the average cost for an international school for my daughter? And about how much do I need to be making a month to be able to take my family with me? Im Niyaz from India. I got an offer to work in ningbo city extact place is Beilun. Company offers me 2000 usd per month with 3500 RMB for house rent. I am planning to stay with wife in china. Is this enough to survival in beilun ningbo city. How much I can save per month? Will u please tell the living cost of ningbo city? Sorry you feel that way Mike! There are lots of prices listed in this article, it shows how much we spent while living in China each month. This web site dopes not show even one price or wage, it only shows the $ sign with no amounts. How should i feel ? Happy? Incidentally i am in England. I’m not sure what you mean? It says that we had a combined income of $3,000 in China, and listed the cost of items. Let’s say one decided to just up and leave and move to China, with $1000 and a backpack. Is it difficult to find employment there? Definitely not a teacher, but are there steady employment opportunities available to foreigners? Please help to let me know the cost of living in Changzhou , China . I am getting offer from there and they are offering me US$ 2200/month without accommodation . Please advise what would be the tentatively living cost per month like Rent/Power/Meal/Entertainment/food Etc . I am not sure of the costs of living in Changzhou. However, if it’s similar to Yangzhou, then that is a good wage. Our apartment was around $350 / month. Please help to let me know the cost of living in China . I am getting offer from there and they are offering me 13,000 yuan/month without accommodation . Please advise what would be the tentatively living cost per month like Rent/Power/Meal/Entertainment/food Etc . If i will be able to save anything? What is a reputable website in which I can earn a TEFL certification? Are there different TEFL levels and how much do they matter? Roughly what was the cost for you two to move? Thanks for the message. 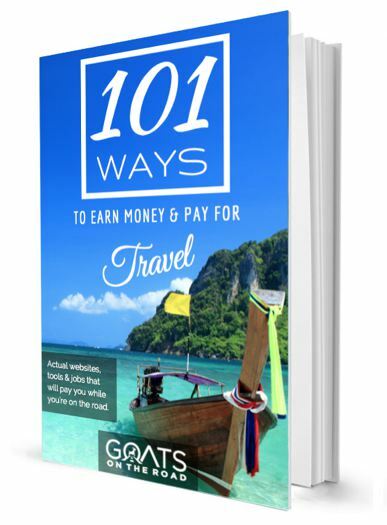 If you go through MyTEFL (http://www.shareasale.com/r.cfm?B=713139&U=1142269&M=58539&urllink=) and use the code: Goat10, you’ll receive 35% off of the course! I’m not sure what you mean about the cost of us to move. You mean to fly to China? thank you for the light. but I would like to know how much it can cost me to learn a course like Architecture in Tsinghua university on an annual basis summing up the costs of tuition, meals, rent, health insurance among others. Hi, thank you for your post. I am getting offer from Nanjing, the salary is assumed to be 8500 RMB + free Accomodation, 35 hours of work per week, two day offs. What do you think about this job? How much I will spend approximately on Food&Transportation&Utilities&Internet&Cell phone ? P.S. 8500 RMB is $1310? Thank you in advance. Hi, thank you for your post. I am getting an offer, the salary is assumed to be 8000rmb + free Accomodation, 30 hours of work per week, two day offs. What do you think about this job? How much I will spend approximately on Food&Transportation&Utilities&Internet&Cell phone ? Do you know of any Mexican or Latino working as an english teacher in China? And if you have, how do they get treated? One more thing. I´m married and my family will stay in Mexico, I have 2 kids and my wife, would I be able to save money? Thank you in advance. This amount is what we earned when we were living in China. 8000 RMB each. You can see the amounts you will expect to spend above. But, this depends on where you will be living in China, as some cities are more expensive than others. our friend is Colombian and he is treated fine in China. He also sends home money to his family. Omg! After reading literary almost every post from the beginning of your blogs: you guys rock!! I totally love this blog. You guys have saved so many people the headache of going oversees blinded with surprises. I am 26 years old and have taught here in the USA for 5 years now and I just received to offers from two schools in Beijing, China. After reading your recent blogs it looks I guess somewhat affordable out there in China depending on where you live, however you guys are in the professional arena so I totally would appreciate any advice you give me. With my masters they are offering to pay 265,000rmb which is 40,243.41 dollars amount. Also giving me 15,000 USA dollars for housing and insurance. Please help me out on this one as I am of course already excited about this dream. How exciting 🙂 That wage is quite good for a teacher in China, though I know that there are higher paying jobs for experienced and qualified teachers such as yourself. Your salary would equate to $3,333 / month plus $1250 / month for rent. That’s a lot in China, though Beijing is more expensive, you’ll still have plenty to save. Keep in mind that the tax in China is extremely low compared to Canada and the US. Not sure if you guys have a tax treaty with them like we do in Canada, but if so, you’ll only pay Chinese tax. Basically, in China, it’s easy to get by on $1500 / month and live very well. 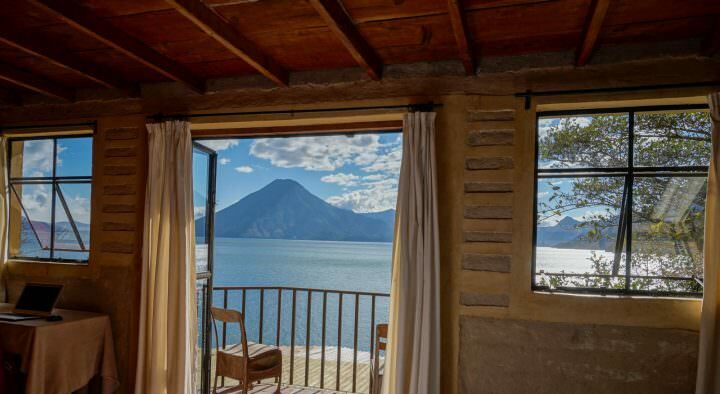 You should be able to save half of your income and have a pretty nice travel fund at the end of each year. Great job! Just make sure the contract is well translated, the penalties for cancellation aren’t rediculous and you talk to other teachers at the school to make sure it’s legit. After that, you’re on your way! Enjoy China! Thanks so much for this amazing advice! I will take every bit of it and put it to use, I fill like I should shop around seeing that’s probably should be receiving more.hmmmmm. Just struggling a tad trying to make sense of your living costs as you’ve detailed one-offs, annual, monthly and daily expenses all together! If one was to sum up a monthly total for living in a tier 2 city such as Chengdu or Kunming. What would we be the damage approx? It’s just that my partner and I are thinking of teaching in China later this year. We would like to live comfortably (a little travel/occasionally eat out/have the AC on all the time!) but also try to save around £800 (7000 RMB) a month between us. Is this realistic?? I am a little concerned when you said you were paid 8000 RMB.. Sounds a bit low. I know the cost of living is vastly lower in China than UK but it seems still a bit meagre – works out to around £900 a month each? Btw been reading your articles for a while. Keep up the great work! Yes, you’re right about the salary. I think the going rate these days is about 10,000 / month (but you also get accommodation, flights, insurance, and some bonuses). We saved 1/2 each month, so 8,000 a month. Is 6950 rmb per month enough to live in the city like Hangzhou /Fuyang in the Zhejiang, getting an offer in which having transportation, airway fare and accommodation. I have a few questions for you. I have an Skype interview tomorrow for a school in Shanghai. The post offers $33,000- 39,000 USD/ annual year, $1200 USD flight reimbursement and housing on campus. I will be looking to save some money to pay off my student loans but would also want to travel quite a bit to the countries surrounding China (ie countries in Southeast Asia, japan, Korea, etc). 3) you can let me know the tax bracket for Canadians (I’m a fellow Canuck!) and how/if you transferred money home? Also, is there a pretty good ‘expat’ community and is it easy to meet others? If my wage is 500$ is it possible to survive?